"Motor Racing racing is not something you just suddenly learn out of the blue.You gotta have it inside, and Bruce certainly had all that." When a two-minute-long movie trailer has a dialogue like this just a few seconds into watching it, you know it is going to be special. This is the trailer for Roger Donaldson's new movie named, McLaren. Yes you guessed it right, the movie is a biopic on the founder of the McLaren Formula 1 team, Bruce Leslie McLaren. As an automotive enthusiast, one's passion towards motor racing is quite natural. While watching a race itself is considered to be a rush of adrenaline, watching a movie based on a motor racing legend often proves to be a heavenly experience for motorsport enthusiasts. This movie might just prove to be one of those heavenly experiences, especially given that the producer, Roger Donaldson has previously produced and directed quite a few action movies including, The World's Fastest Indian. Bruce Leslie McLaren was a racecar designer, driver and engineer. Born in New Zealand, his racing career started off in 1952 at a local hillclimb event where Bruce drove an Austin 7 Ulster which was restored by his father, Les McLaren. And the rest, as they say, is history. 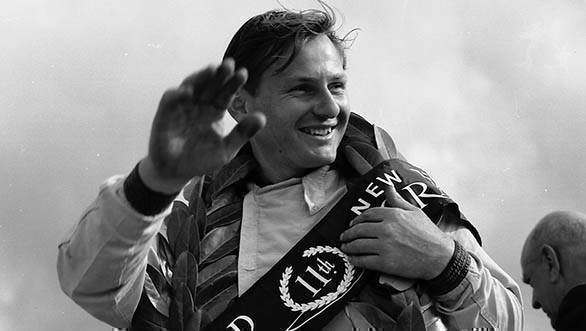 Bruce McLaren would go on to enter 104 Formula 1 races between 1958 and 1970, of which he took 27 podium finishes and four wins. In 1963, he founded Bruce McLaren Motor Racing Ltd. which went on to become one of the most successful teams in the sport's history. McLaren cars also dominated Can-Am sportscar racing with 56 wins, a considerable number of them with Bruce himself behind the wheel. Can-Am racing is also unfortunately how Bruce died, when the car he was driving (of his design), crashed on the Lavant straight at the Goodwood circuit. The reason we gave you the history and background is because this trailer brings together all these elements, making it rather engaging. The trailer features scenes from the movie, a few of which are dramatised, and some footage from the Bruce McLaren Era. The movie is expected to hit screens in June, 2017. Featuring contributions from motorsport legends like Emerson Fittipaldi, Sir Jackie Stewart Mario Andretti and Patty McLaren, the widow of Bruce McLaren.